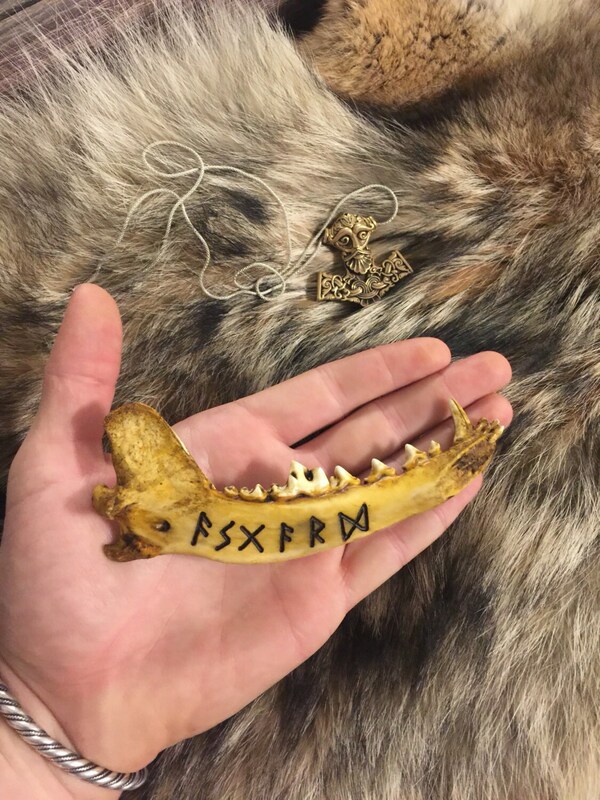 These hand crafted medieval-viking bone runes are made from the jaw of a Coyote. 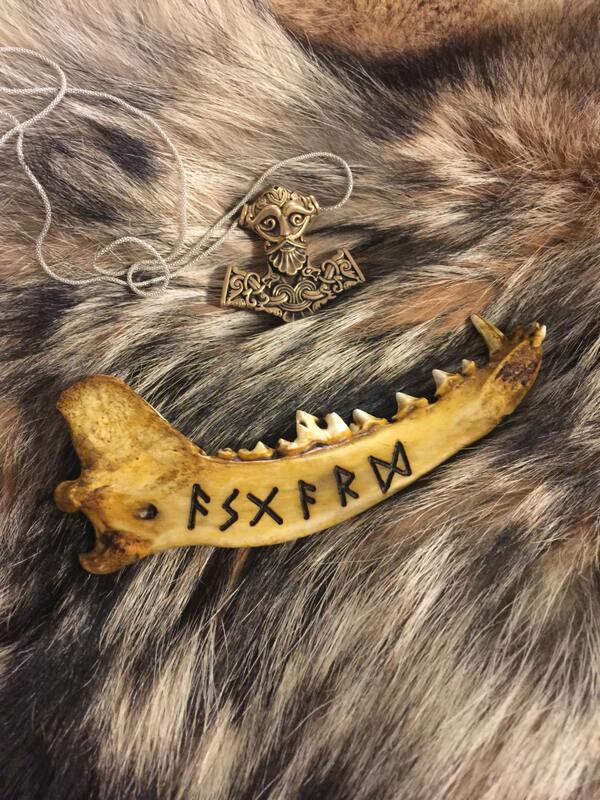 The elder futhark runes which reads "Asgard" has been hand carved and antiqued. 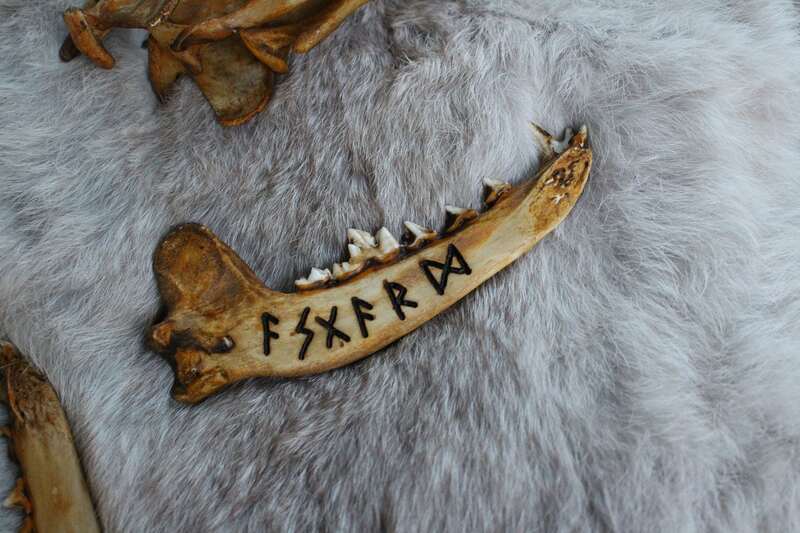 if you need something custom written in the bone hit me up i can do custom carvings. Shipped in a thick padded mailer to protect the product. 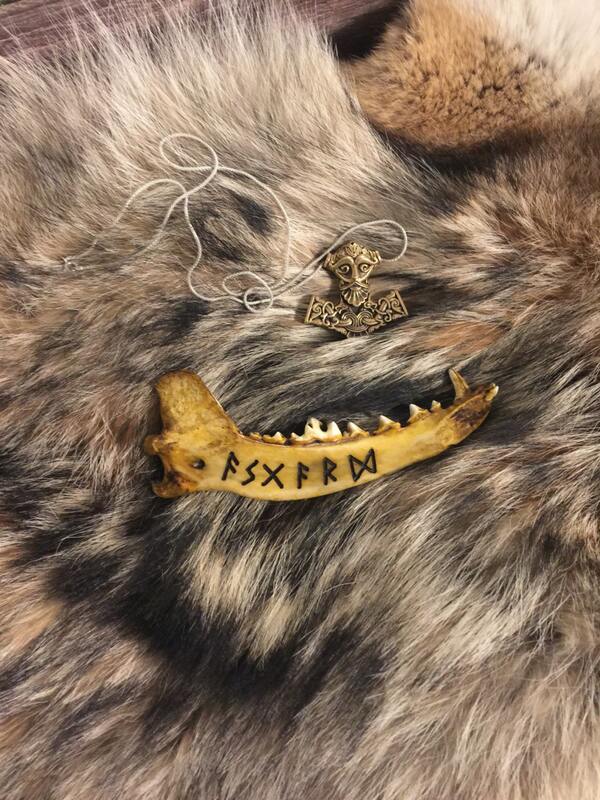 Thanks for the dope addition. I’m sure it won’t be the last.